Social media is a powerful marketing tool. The more we exist on social media, the bigger chance for us to sell something. Imagine that we could involve in a lot of social media, and then it will be easier for people to find us and get familiar with us and our products or services. But, how could we exist on a lot of social media while we should struggle to defeat daily deadline and do effective marketing at once? One of the powerful tools available on the market is Hootsuite. It is a social management tool that can manage up to 7 social media at once: Twitter, Google+, Facebook, Instagram, LinkedIn, WordPress, and YouTube. We can post, control, and schedule any post to our social media channels in a single browser tab. We even can interact with our potential users or followers. With Hootsuite, we do not need to copy and paste our post from one social media to another. We simply write one post, and then Hootsuite will publish it to our selected and configured channels. 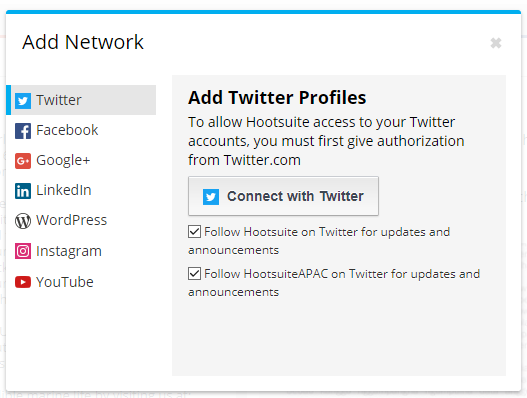 Now, let’s see how Hootsuite works! 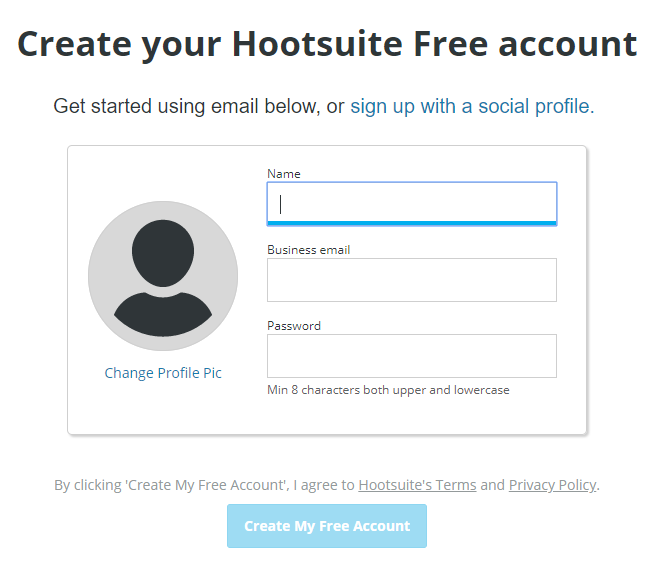 The first step is signing up for Hootsuite using one of our existing social media account or our email address. You can try to use the free account first before deciding to use the pro plan from here: https://hootsuite.com/create-free-account. This free account only provides us 3 social media profiles. So, if you want to optimize your appearance on social media, you can upgrade to paid plan later. After completing the registration steps, you will be brought to the dashboard where you can choose which social media that you will use. Here, you may choose the most actively used social media of yours. For example: if you are active on Facebook, then you need to Connect with Facebook. Or, if you are active on Twitter, then you need to Connect with Twitter. Remember, you only have 3 social media option in free plan. So, if you want to connect with more social media, please upgrade your plan. After connecting 3 social media accounts, now add “stream” to the Hootsuite dashboard to publish and monitor all of your posts. 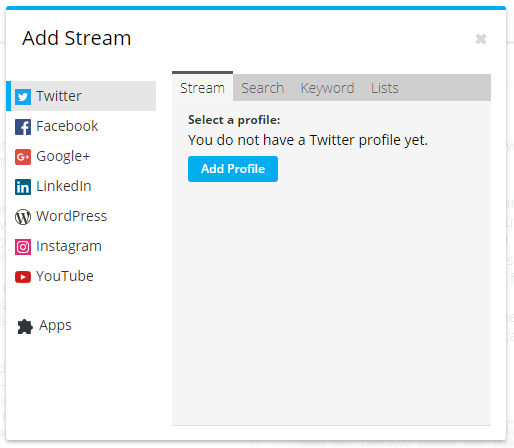 Adding stream to Hootsuite dashboard. Choosing social media to be added to the stream. Publishing update through Beta Composer. Beta Composer and its preview. #5 & 6 Publish immediately or schedule for later. It is easy, isn’t it? So, are you ready to enhance your marketing experience in social media? This entry was posted in Blog (EN) and tagged Marketing Tool, Productivity Tools. Bookmark the permalink. ← How To Publish Blog Content Into 30 Channels Of Social Media At Once!